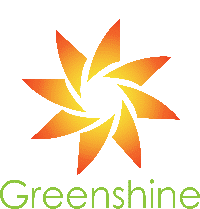 You’d be surprised to find out how many times Greenshine’s products have deterred crime and theft. That’s just the case with Lake Elsinore Public Works. Their office is located in a remote area of the city next to a lot that houses emergency response vehicles and equipment. The area was insufficiently lit and was prime for theft and vandalism. The cost and inconvenience to trench and pull power to the parking area was quite prohibitive. At the same time, the city was undergoing some new construction in town and needed some temporary lighting there as well. The Public Works office purchased 10 Portable Brighta 30 solar parking lot lights and were able to move them easily with a forklift for different projects. The lights were used both as a crime deterrent and a helpful light source during construction times. It looks like the Portable Brightas can be used nearly anywhere for lighting reasons! The City of Lake Elsinore is very pleased with the results from using the portable Brighta units. The crime rate has dropped to zero, their construction projects have moved full-speed ahead, security has significantly increased, and the city saved significant amounts of money to allocate different projects. We take pride in knowing that our products are versatile enough to deter crime, assist in construction, and save companies money.